Registration for Winter 2019 classes is now closed. Please stay tuned for future class offerings! 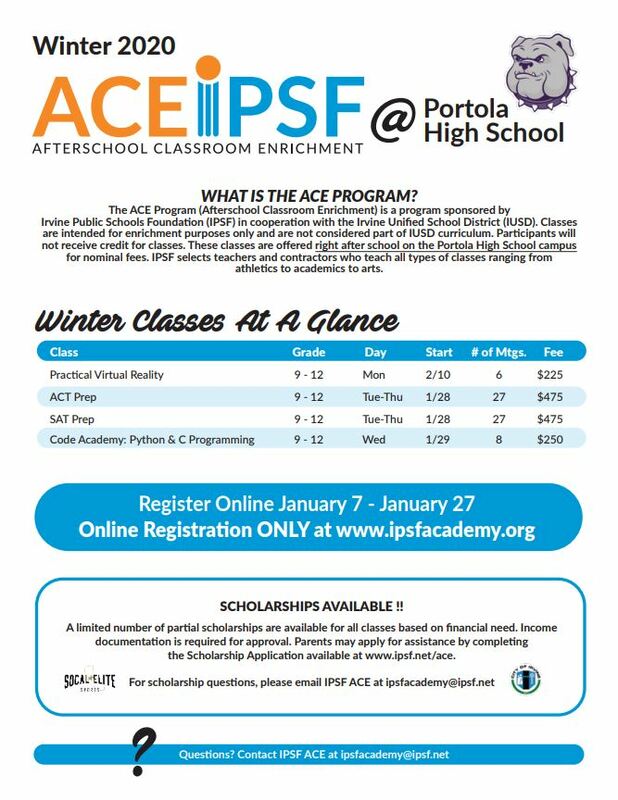 IPSF is proud to now offer Afterschool Classroom Enrichment (ACE) classes** to high school students in IUSD. These fun, hands-on classes provide students the opportunity to explore their interests beyond school hours. 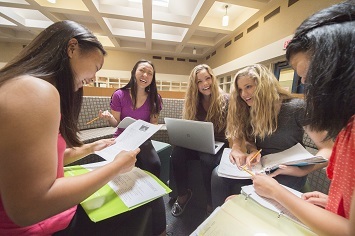 Classes range from athletics to academics to arts. NOW OFFERING CLASSES AT PORTOLA HIGH SCHOOL! For more information, click the class brochure located on the right. **Classes are intended for enrichment purposes only and are not considered part of IUSD curriculum. Participants will not receive credit for classes. New Accounts: If this is the first time visiting our site, please click on the “CREATE AN ACCOUNT” link at the top right hand corner to create your account. Existing Accounts: Update your student's information for the current school year including grade. If you have forgotten your login or password, please contact ipsfacademy@ipsf.net. DO NOT MAKE A NEW PROFILE. If using Internet Explorer as your browser, make sure it is the latest version. Chrome or Safari are recommended. If you have any questions or problems with registration, please contact us at ipsfacademy@ipsf.net or (949) 263-8340. Scholarships are available for families demonstrating financial need thanks to the support of Google Fiber. Parents and/or guardians may apply for scholarships by completing the application form located on the right under "Other Documents". Please do NOT register for classes prior to submitting your application.